Imagine your perfect race. You’ve trained hard and went to sleep early for all those months. You have your Roka wetsuit, Zipp wheels, and a bike that is the triathlon-equivalent to the Batmobile. A beautiful swim is followed by a great bike ride. And then your stomach starts talking back. Maybe you need an emergency bathroom stop, or maybe the thought of food is enough to make you sick and a bonk is on the way. 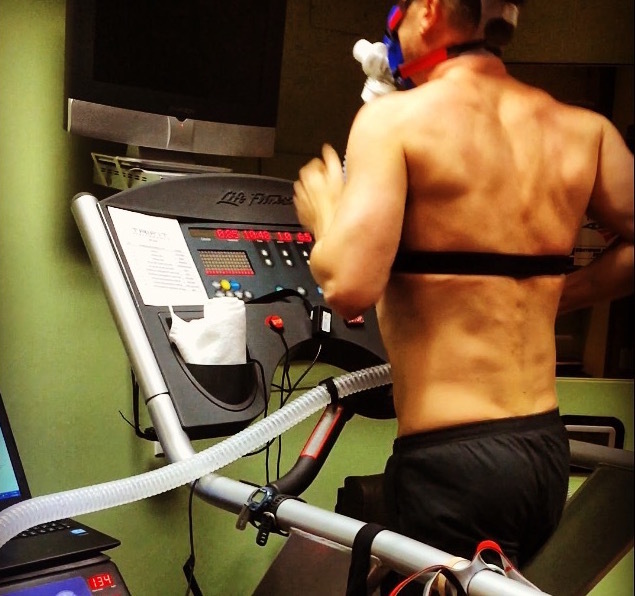 Stomach issues are perhaps the most common cause of underperformance in endurance events. While the symptoms and severity can vary among athletes and race conditions, it is something that nearly every athlete has been affected by at some point. Symptoms of GI distress can affect the upper GI system (reflux, burping, nausea, vomiting) or lower GI system (cramps, gas, frequent bathroom stops), but for the sake of simplicity we will consider them all under one large umbrella. The picture at the top offers a broad overview of some of the main ways problems can develop during exercise, and we’ll walk through them. Dehydration – Sweating is our body’s cooling system. Sweat rates can easily exceed two liters per hour for heavy sweaters, while intake rates are often less than one liter per hour. As exercise continues and the fluid deficit adds up, your heart rate increases for a given running pace or cycling power and there is less blood being sent to your gut. NSAIDs and Aspirin – These are commonly used, but are well-documented to cause a leaky gut and drastically increase unwanted issues such as cramps, gastrointestinal bleeding, and kidney problems. Gluten – Yep, in some people gluten can cause an opening of those tight junctions and lead to leaky gut. This doesn’t mean everyone needs to avoid it, but it’s definitely a thing. 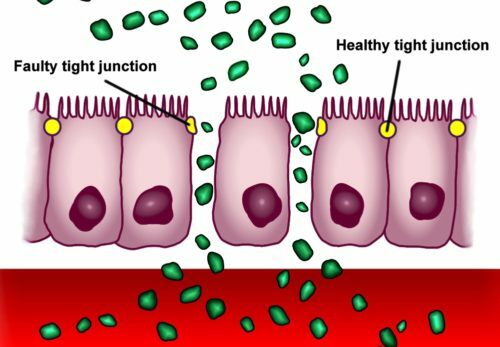 At the same time, there are other things that can affect how food moves through our GI tract and the absorption of nutrients. Stress and Anxiety – Believe it or not, perceived life stress and anxiety correlate with chronic gastrointestinal symptoms in runners. Fat, Fiber, and Protein – These slow down the transit time through our digestive tract and lower the blood sugar spike from a meal. All good things during normal life, but during exercise we want things flowing through quickly so the fuel can get to our muscles. The Wrong Carbs – This is a very big topic but to simplify things, carbs need a transporter (taxi cab) to be absorbed into the blood stream. 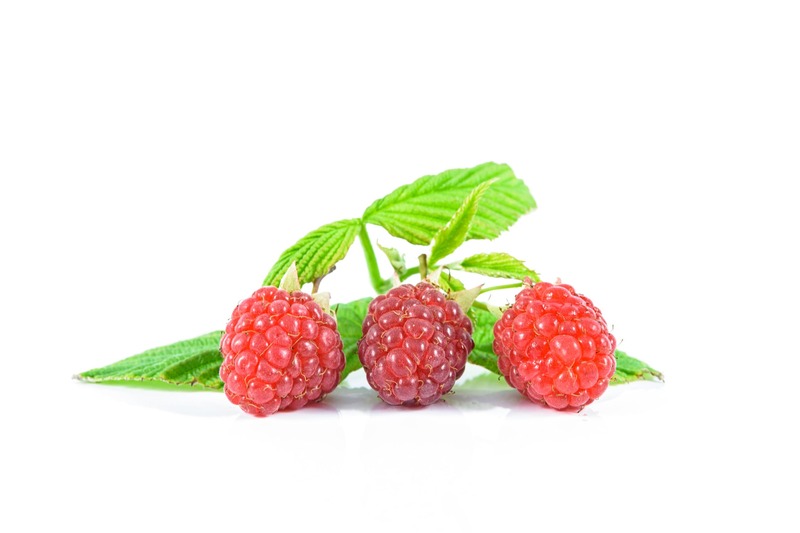 The body can absorb up to around 60 grams of glucose and 30 grams of fructose per hour. 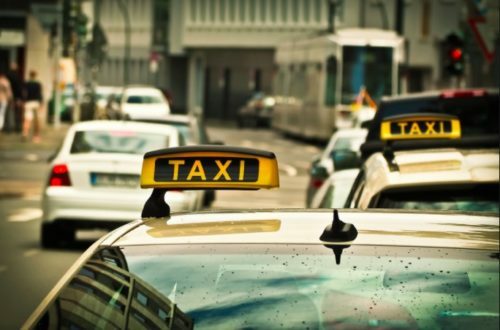 Glucose and fructose use different transportation systems (like taxi and Uber), so imagine there are 60 taxis and 30 Ubers available per hour. When you consume more than that, imagine a long line of people waiting for rides and think about how happy they are if they have to keep waiting when they need to be somewhere! While most drinks contain an appropriate mix of glucose and fructose, popular drinks like Carbo Pro and Hammer come to mind as being more likely to cause problems due to their carbohydrate content being solely glucose-based. Drinking Your Calories – Another big topic. Think about your hydration needs on a hot day vs. a cold day, obviously you’d need to drink more on the hot day. But regardless of weather, your calorie needs will be pretty much the same. This means that if you train with a certain drink, you’re betting that the weather will be appropriate for you to take in the right amount of carbohydrate and fluid. Some might say they will just drink more water if they feel like they need more. Well then you’re trying to play biochemist mid-race, which is a bad idea. Fluids are optimally absorbed with a certain amount of carbohydrate and sodium in them. A properly mixed sports drink will hydrate you better than water, and so simply drinking more water is not the best solution when optimal hydration is so critical. 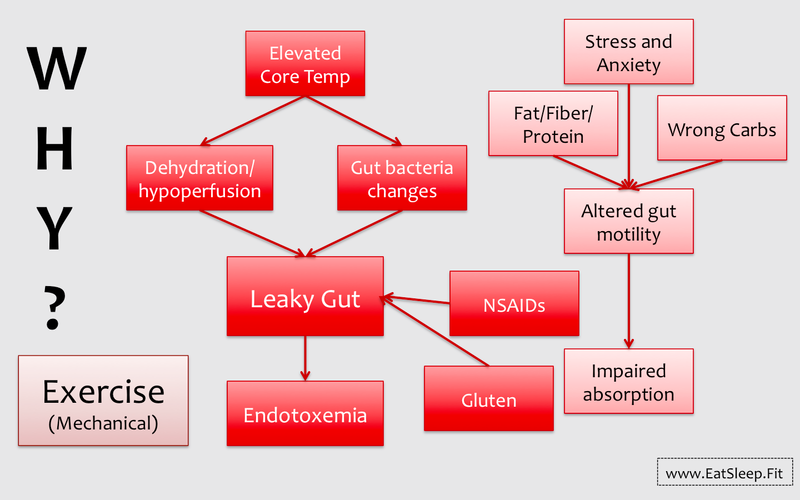 Mechanical Stress – Exercise itself is a stressor, and GI problems tend to be more common in runners than cyclists. This is thought to be related to the high-impact of running that happens repeatedly, but the impact may be reduced with training. 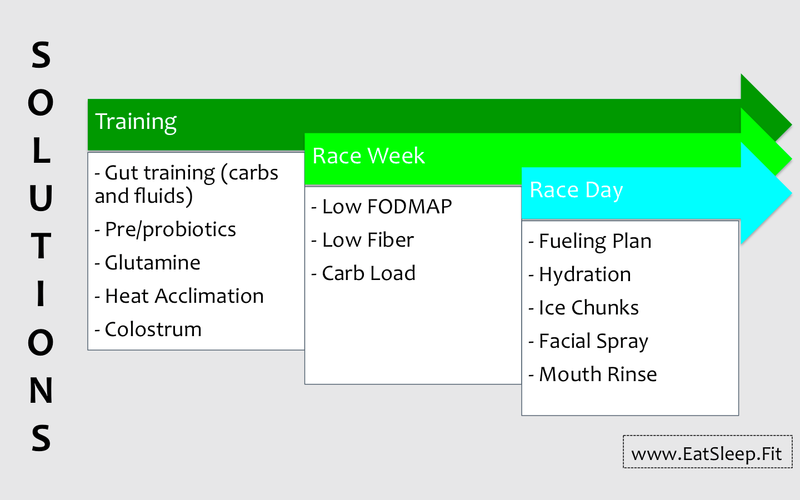 Making these mistakes won’t necessarily guarantee you’ll have stomach issues, but if you are susceptible to GI distress while racing these are all areas that should be addressed. 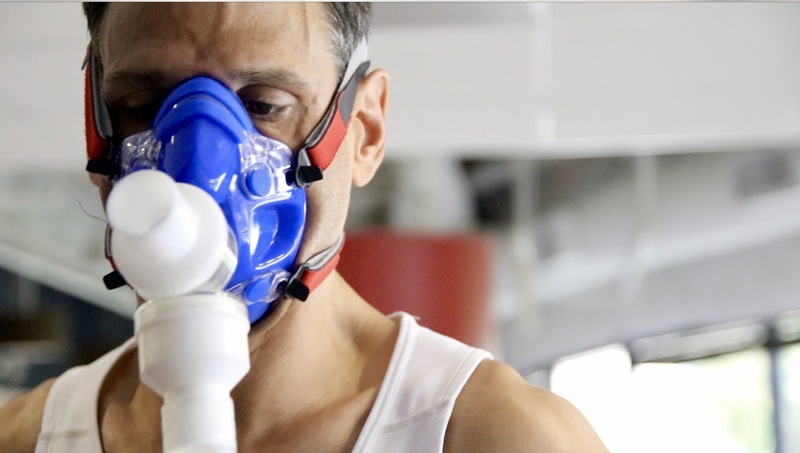 Click here for part II of this series, which will focus on the solutions for you to be able to train and race faster, more efficiently, and more enjoyably! Sign up to learn more about interesting and useful topics in sports nutrition!